This is a fun time of year in the Arts & Entertainment (A&E) department– the time of year when we step out of the shadows of the Gardening department and spread our work all over their canvas. While The Garden slumbers we create our own garden of lights to carry us through the dark nights until spring. Christmas is our chance to shine, so to speak. Although our Night Illuminations, Fireworks, and Summer Entertainment are prominent features of the summer season, it is only on the Christmas display where the entire A&E staff join together to focus on a single project. They say that Christmas only comes once a year. I wish! Christmas is a year round endeavor for us as we constantly work to refurbish or construct Christmas projects throughout the year. However, the actual installation of the Christmas Display begins on October 1st each year and takes nine weeks to install. 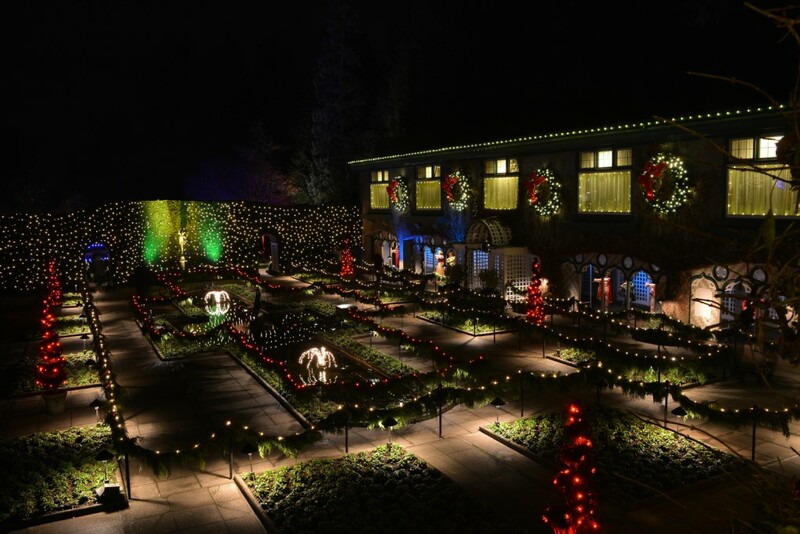 The Christmas installation is influenced by many factors: by the autumn planting, pruning, and raking activities of the Gardening department, by whatever facilities project the Maintenance department may be undertaking, by the schedules of the restaurants and other facilities, and of course, by the weather. We do our best to pre-plan around all known activities, and then react to the inevitable changes that occur. Weather is the biggest factor in altering our plans. For instance, a windstorm may force us to change our plans while the arborists inspect and make safe any broken tree limbs. Ice, frost or snow prevent us from accessing roofs, lawns, and flowerbeds. And rain? Well, rain is mostly just unpleasant, but it slows progress considerably. When we are forced to change direction on a task, it happens in an instant and suddenly next week’s project is happening today while today’s project is put off until later. This requires that all components of the show be pre-assembled and ready to go, and it also requires cooperation of the entire Gardens staff as they accommodate our need to shift directions. After all, the show must go on! Once we open the show on December 1st each year, we focus on 2 priorities: operating and maintaining the display, and starting work on next year’s display. Every day in December, the A&E staff work either day or evening shifts to maintain the integrity of the display by replacing burned out lights and strings, repairing costumes or props, and tidying up any disturbances to the display caused by work in the Gardens. While operating the display, work is already beginning for the following year. I take notes on what has been successful each year, assessing what looks good, looking for what may need replacing or refurbishing, and where we might make additions. Many of our props suffer in the winter deluge and ongoing maintenance is a fact of life. 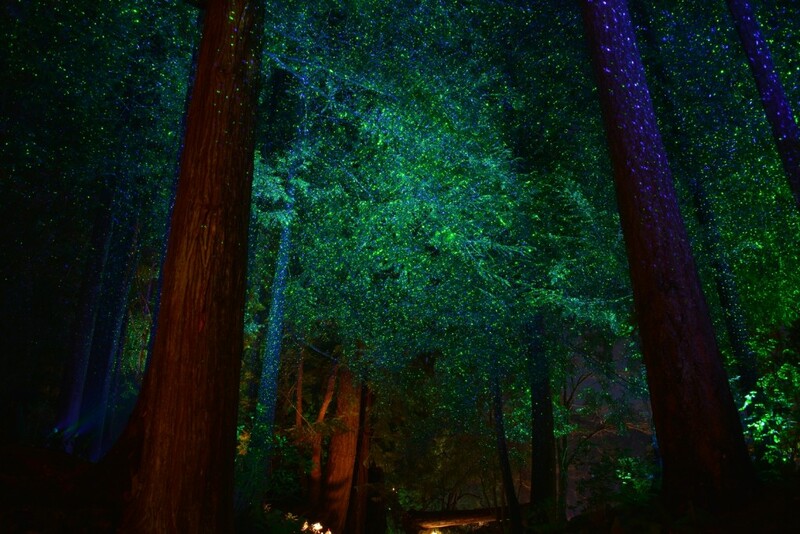 I make note of what has been popular and what feedback we have received, but my favourite thing to do is to walk around the Gardens at night and note the honest reactions of visitors. That’s right, I might be right behind you on one of your visits! 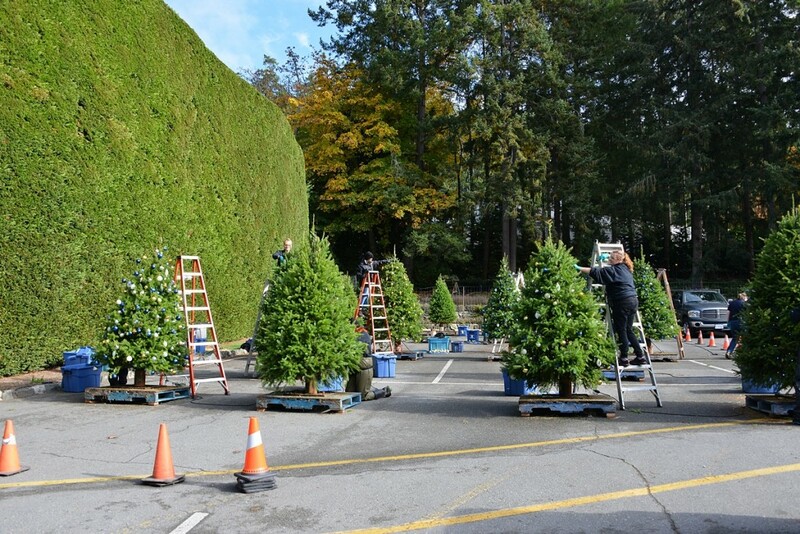 Installation of the Christmas Display is complicated and is planned just like any large project with detailed paperwork, maps, photos, and a master schedule for installation of every single component in the entire display. Because the physical aspect of the Gardens evolves each year, installation of our projects may need to be altered requiring us to update our notes. We then begin to assemble next year’s to-do list. After the show closes in January, we are able to remove most of the obvious Christmas props quite quickly, but it takes the rest of the month to remove the remaining lighting in the trees as well as our vista and path lighting. However, just because the display components are out of sight doesn’t mean we are finished with them for the year. The A&E department then meets to discuss the Christmas Display, note the challenges and successes, and list what aspects need repair and replacement. That’s the easy part. We then have to find time to shoehorn these projects in amongst all our other activities – not an easy task considering how busy our summers are! Here are a few things you didn’t see us working on this past year: the entire 9 Ladies Dancing turntable and motor assembly was stripped and rebuilt during the early spring and summer, more costume alterations were made to the 11 Pipers piping, new light bulbs were installed on the 12 Drummers, and cosmetic repairs were made to Swans, Geese, Hens, and Birds. In addition to repairs, there are also new creations each year. 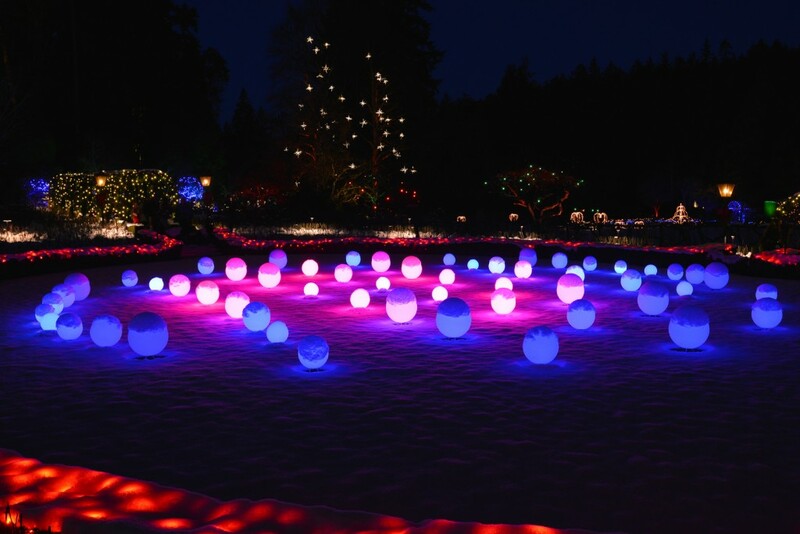 Last year’s addition of the Globe display on the Rose Garden lawn is back this year with even more globes, in a new pattern. This year there are also changes to the Interactive Light Tree, new positions of some existing displays and a new installation on the concert lawn. Part of the fun is re-assembling the traditional and adding in something new, and the fun is in full swing right now in A&E. I hope the fun continues for you when you visit this year.